BEIJING — With President Donald Trump pledging to scrap or renegotiate trade deals as part of his “America First” strategy, the door has been left open for China to push ahead with its own agreements. And nowhere are those efforts more apparent than in Washington’s own backyard: Latin America. President Xi Jinping, who will be meeting Trump for the first time in Florida on Thursday, has already made three trips to the region since early 2013 — and business is booming. While trade between the U.S. and Latin America has doubled since 2000, China’s trade with the region has multiplied 22 times, according to OECD economist Angel Melguzio. In fact, Beijing is now the biggest trading partner for the major economies of Brazil, Chile and Peru — and Argentina, El Salvador and Guatemala are well-placed to profit from China’s booming demand for global food. 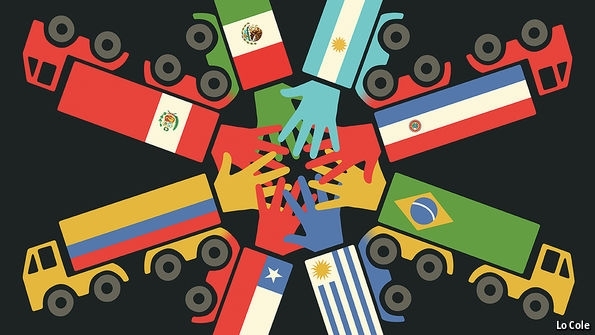 The U.S. remains Latin America’s biggest trading partner, but with Trump vowing to dismantle the North American Free Trade Agreement (NAFTA) and build a wall on the Mexico border, China could hold the advantage. Meanwhile, China lends the region a lot of money — around $30 billion in 2015, up from $231 million in 2005. And the funds largely come with no strings attached. Read the full story on NBCNews. Sophisticated heist compromised major bank’s entire DNS infrastructure. The attackers compromised 36 of the bank’s domains, including its internal email and FTP servers, and captured electronic transactions during a five-hour period on Oct. 22, 2016. Researchers estimate that hundreds of thousands or possibly millions of the bank’s customers across 300 cities worldwide, including in the US, may have been victimized during the hijack window when customers accessing the bank’s online services were hit with malware posing as a Trusteer banking security plug-in application. The malware harvested login credentials, email contact lists, and email and FTP credentials, and disabled anti-malware software on the victim’s machine to avoid detection. Dmitry Bestuzhev, director of Kaspersky Lab’s research and analysis team in Latin America, says the attackers were able to pull off the heist by compromising the bank’s Domain Name Service (DNS) provider Registro.br and gained administrative control of the bank’s DNS account. The attackers also obtained valid digital certificates for their poser bank’s servers via Let’s Encrypt, a legitimate HTTPS certificate provider, to dupe customers who, when they logged into their online accounts, were redirected to the phony systems. Meanwhile, the bank, which has $25 billion in assets, 5 million customers worldwide, and 500 branches in Brazil, Argentina, the US, and the Cayman Islands, was locked out of its own network and systems during the attack. Heraldo Muñoz, Chile’s foreign minister, center, during a news conference this month after a Trans-Pacific Partnership meeting in Viña del Mar, Chile. Esteban Felix/Associated Press. SANTIAGO, Chile — In mid-March, ministers and high-level representatives from nations that have signed on to the Trans-Pacific Partnership, as well as China, Colombia and South Korea, met for the first time since the Trump administration withdrew from the trade accord. The signal from Viña del Mar, Chile, where the meeting took place, was clear: Multilateral trade and Pacific integration are alive and kicking. The meeting, hosted by Chile as president pro tempore of the Pacific Alliance trade bloc (Chile, Colombia, Mexico and Peru), was a needed symbol of stability in increasingly uncertain seas. Protectionism, nationalism and populism are sadly on the rise worldwide. Indeed, multilateralism and the very concept of economic collective security are being challenged. The fears that drive retrenchment on trade must be reckoned with. Social and economic inequities resulting from trade are real. The countries in the Pacific Alliance will continue to work with the United States on a bilateral basis, but the Asia-Pacific region is ready to lead the new age of globalization in the 21st century by continuing the pluralistic approach to trade envisioned in the T.P.P., even though the accord no longer exists as we knew it. 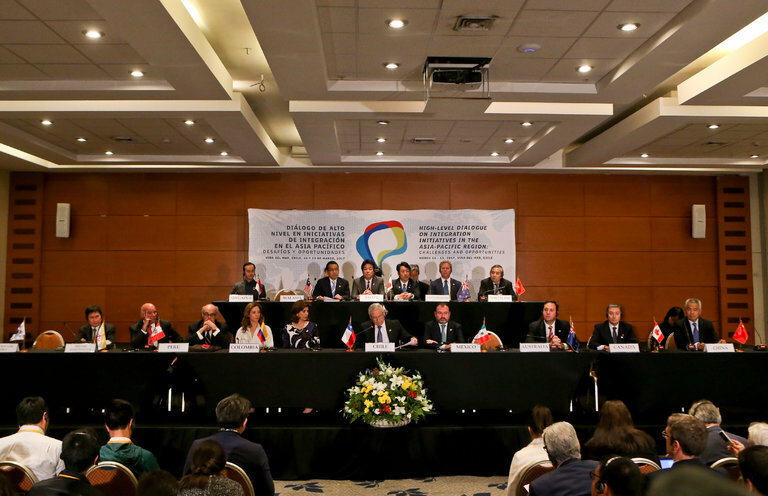 The 15 Pacific Rim nations in attendance in Chile three weeks ago signaled a strong and stable consensus across the Asia Pacific region that open economies, free trade and regional integration represent the way forward for achieving inclusive and progressive development. We remain committed to working pragmatically with its core principles and contents to advance open commerce, coupled with socially and environmentally inclusive domestic policies. Getty Images A farmer harvests corn in Burlington Iowa. There’s growing concern in agriculture industry about fallout from anti-Mexico rhetoric in the Trump administration hurting American farmers. The prospect of a trade war with Mexico is particularly troubling for some in the nation’s farm belt given low-commodity prices last year hurt U.S. farm incomes and this year also looks to be tough. Furthermore, many of the key farm states where President Donald Trump found the strongest support in the election could suffer the effects of a trade war with Mexico. Peruvian regulator Osiptel has approved the country’s net neutrality regulation, following consultations over more than a year. Under the new rules, operators can not arbitrarily block or restrict access to certain applications, domains, IP addresses or services in order to favor the use of their own products. The regulation takes effect from 02 January 2017. Osiptel said the rules establish the principles of freedom of access and equal treatment in the use of networks, as well as transparency in information to end-users. The regulation also covers traffic management by ISPs and what is allowed to preserve the security and integrity of networks. Total LTE connections in Latin America and the Caribbean soared by 154 percent year-on-year to 97.9 million at the end of the third quarter, equivalent to 14 percent of all mobile technologies, according to Ovum research cited by industry association 5G Americas. Argentina, Chile and Uruguay continued to lead the region in LTE penetration rates, with Mexico and Brazil leading in LTE net adds. 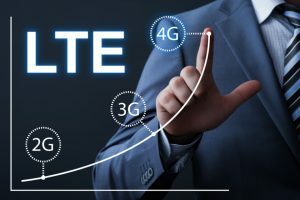 Some 59.4 million LTE connections were added in the year to end of September, with the regional total set to reach 109 million at the end of 2016 and 438 million at the end of 2021, said 5G Americas. The big news in the third quarter of the year was the commercial launch of LTE-Advanced technology in Chile and Peru, with new announcements expected before the end of the year. There were a total of 703 million mobile subscriptions at the end of September, around 47 percent of them (329 million) currently using HSPA technology. Honduras has begun preparing a tender to attract the country’s fourth mobile operator, according to Ebal Diaz, president of telecom regulator Conatel. The aim is to auction spectrum in the 900MHz and 2500MHz bands with a view to persuading international operators to invest in the country. “Competition is always healthy… and we need to increase broadband penetration,” said Diaz, adding that “we currently have two operators and the state-owned one, which has to grow.” The three mobile operators – Tigo, Claro and Hondutel – share around 7.7 million active lines, although Tigo and Claro account for 99 percent of those. An earlier report suggested that the entry of a new operator could result in USD 400-700 million of investments over four years and the creation of 3,000 new direct and indirect jobs. 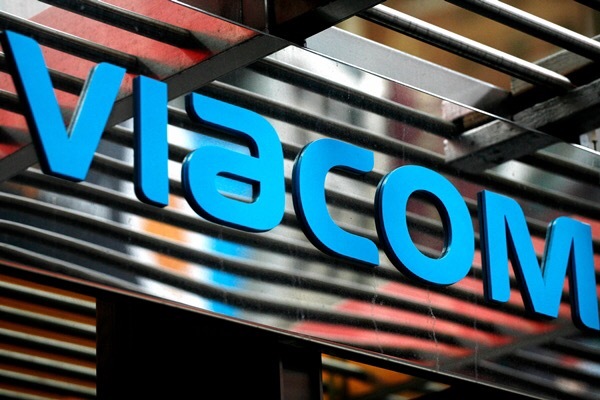 Telefonica has reached an agreement to sell its Argentinian free-to-air channel Telefe (Television Federal) to US media giant Viacom for up to USD 400 million, according to unnamed sources cited by Bloomberg. The transaction has yet to be confirmed but could be announced as soon as this week, said one of the sources. Viacom outbid Time Warner and the Cisneros Group to acquire the only free-to-air broadcaster that Telefonica still owns, still the most-watched channel in the country, slightly ahead of rival Canal 13, owned by the Clarin group. Argentina’s president Mauricio Macri has been looking to increase foreign investment in the country and his government is set to introduce a new market-friendly telecommunications and media act next year.